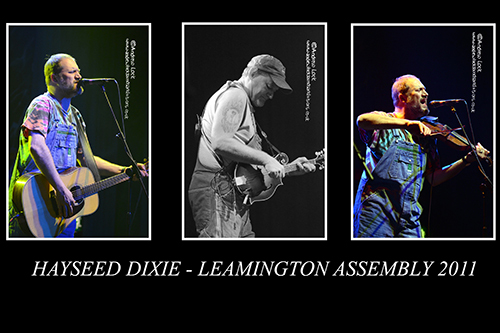 American bluegrass rockers Hayseed Dixie will be celebrating their countries independence day this year by playing the Leamington Assembly on (of course) July 4th. They are no strangers to the venue as over the years they have bought their amazing musicianship and total sense of fun to the towns flagship venue on several occasions. That fun is definitely spelt with a capital F as front man Barley Scotch and band get up to all manner of stage antics and you are guaranteed a good selection of their iconic bluegrass/hillbilly covers of classic rockers by the likes of AC/DC and Queen along with their hilarious and clever originals while their latest album sees them stretch their cover selection to amongst others Bob Marley and Marvin Gaye. Support is by Thirteen Stars with their top draw blend of Southern and classic rock.